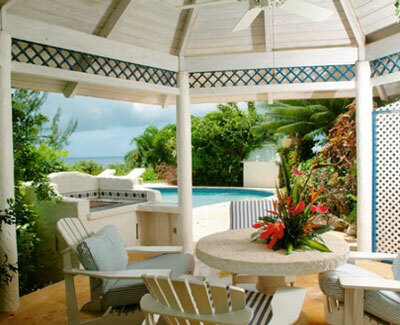 High Constantia Cottage is a delightful villa located on the ridge overlooking the Golden Mile Beach at Heywoods, St. Peter. This Spanish style villa boasts two air-conditioned double bedrooms with baths, living and dining areas with spectacular views of the Caribbean Sea beyond, a well appointed kitchen, and a sun patio overlooking the ocean. This villa also features a private swimming pool.